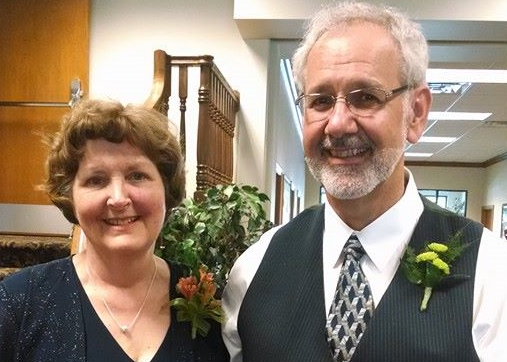 Doug and Miriam enjoy serving together in ministry and are delighted to be the pastoral team at Oak Grove MC. They have plenty of pastoral experience having shared ministry in three communities over the past 35 years. They were co-pastors of Brussels Mennonite Fellowship (1986-90); pastoral team members at North Leo Mennonite in Leo, IN (from 1995-2009); and have been at Oak Grove since 2009. The Zehr team began their ministry at Oak Grove in May of 2009, Doug as lead minister and Miriam as associate minister with responsibilities for worship and education. Just recently, the Church Board offered a five-year extension which was accepted and will take the partnership until November of 2022. Pastor Miriam is a trained and experienced Secondary School teacher, serving at Western Mennonite School, Salem OR (1978-1980) and Rockway Mennonite Colligate, Kitchener, ONT (1991-1994), as well as numerous short-term assignments at various public schools in Ontario and Indiana. Miriam is a 1978 graduate of Eastern Mennonite College (BS) and a 2018 graduate of Anabaptist Mennonite Biblical Seminary with a Master’s in Christian Formation. She was licensed for ministry in 2011 and ordained in 2013. Today, March 20th marks the beginning of Spring - YES! At the Grove we have numerous activities that have appeal to many ages and interests in this season. Watch our calendar for changes and updates. For the month of March, Outreach Commission members are inviting you and your family to create a Relief Kit - or two, for Mennonite Central Ccommittee (MCC) our international relief and development agency. The list of items in the kits is posted on the blue barrels (or call the church office for more information). Offering designations during March will be collected and sent to MCC to purchase more kits or to purchase buckets. Thank you for your help. Lenten Journey . . . Prayer & Reflection: Join us Wednesday evenings, continuing through April 10, 6-7pm in the conference room for time of guided prayer. Mark your calendars and come when you can to join in the fun of bagging soup. There are ways for all ages to get involved. Our goal is to raise $1,000 which allows us to put together 1,000 bags of soup. The coin vortex will be in the lobby and designated donations can be put in the offering or sent tot he church office. Bring your extra seeds and plants! Sunday, January 20, 2019 we, at Oak Grove, are Celebrating World Fellowship Sunday with our global Anabaptist family. Every year on the Sunday closest to 21 January, Mennonite World Conference (MWC) invites its 107 member churches to join in a celebration of World Fellowship Sunday. By MWC's count, the Anabaptist-Mennonite faith family includes 2,131,000 baptized members in 86 countries. Of that total, 69 percent, or 1,470,390 are members of the MWC. World Fellowship Sunday is an opportunity to remind our communities of faith that we are all part of one body made up of many tribes, languages and nations (Revelation 7:9). It is an invitation to visibly proclaim that now there is no discrimination among us on the basis of race, social status or gender (Galatians 3:28). It is a special day on which to show that we are living a new life in a new society where we mutually support one another, carry those who suffer, serve the world and interdependently learn from one another what it means to follow Jesus. On this day, we celebrate that, in Christ, and by the power of the Holy Spirit, the cultural and national boundaries that separate us have been overcome by the cross. Each year, different churches that are part of our global community prepare guiding material that can be used for WFS. The theme for WFS 2019 is “Justice on the Journey: Migration and the Anabaptist Story”, prepared out of the experience of our Latin American churches. The Anabaptist story is frequently one of migration and mission, experiencing the grace of God in leaving one place for another, and in welcoming the foreigner. The worship themes vary from year to year, but the rationale for the timing of the event has remained constant – on 21 January 1525, a small group of Christians in Zurich, Switzerland, participated in a baptismal service that launched the renewal movement that we know today as Anabaptism. As with the beginnings of every reform movement, the identity of the movement was not fully formed on that wintry day in 1525. Today, the Amish, Mennonites, Hutterites and a dozen other groups all claim the early Anabaptists in Switzerland among their founders. Each of these groups can also identify other beginning points for their church. The Amish, for example, trace their origins to a renewal movement around Jacob Amman in 1693. The Hutterites first practiced community of goods in 1528, and did not adopt their name from Jacob Hutter until several years later. One group vigorously opposed all such commemorations, insisting that the only appropriate marker for Anabaptist-Mennonite beginnings was Easter Sunday or, perhaps, Pentecost. When we shift our attention to the global church, the question of “beginnings” becomes even more complicated. Did the Anabaptist-Mennonite tradition in Java begin with the arrival of Pieter and Johanna Jansz in 1852; or with the indigenization of the church under the leadership of Tunggol Wulung a decade later? Did the Meserete Kristos Church of Ethiopia begin in 1945 with the first Mennonite missionaries from eastern Pennsylvania? with a renewal movement called Heavenly Sunshine in 1962? or with the decision in 1965 to identify their church as “Christ the Foundation”? Over the past century, most Mennonites of European descent have come to regard the 21 January 1525 date as almost sacrosanct; yet this event became the focus of historical veneration only relatively recently when Mennonite leaders from seven countries gathered in Switzerland in 1925 to coordinate relief efforts for Mennonite refugees in South Russia. - Pastor Doug Zehr with information provided by Cesar Garcia, General Secretary; Gerald Hildebrand, North American regional representative; and Mennonite Church historian John Roth. Join us Sundays in 2019 for Worship! JESUS: Every Story Whispers His Name. The Jesus Storybook Bible tells the story beneath all the stories in the Bible. At the center of all is a baby, the child upon whom every-thing will depend. From Noah, to Moses, to King David --- every story points to Him. He is the missing piece to the puzzle --- the piece that makes all the other pieces fit together. From the Old Testament through the New Testament, as the story unfolds, we will join the children of Oak Grove to engage the clues and piece together the puzzle. Join us on Sunday, January 13, 10:30 a.m.
JESUS: Every Story Whispers His Name! Today thousands of migrants are moving through Central America and Mexico. The fear mongers are anxiously raising all kinds of issues in an attempt to protect their privilege. Of course we need to protect our children. Certainly we have limited resources. Without question migrants should enter the country legally. It is hard to comprehend but most migrants are people who don't WANT to flee their homeland . . . they believe they have no choice. And as hard as it may be to believe, they are coming to our southern border to walk through the port of entry and seek asylum. That is NOT ILLEGAL, but is actually a central function to the core values of the United States. So, why do people migrate? Here is a recent article from the Mennonite Central Committee's Washington Office that offers some explanation. --Charissa Zehr is Legislative Associate for International Affairs at the MCC U.S. Washington Office. This article appeared first at Thirdway where more of Charrisa's work appears regularly, in addition to that of a number of her colleagues from the Washington Office. Join us for our annual Harvest Home worship which will conclude our Bicentennial celebration. Bicentennial Comforters & Throws for MCC, Hospice & Aultman Hospital. We thank God for our broader church connections, particularly in times of disaster and need. While Mennonite Disaster Service (MDS) responds to national disasters, Mennonite Central Committee (MCC) responds to international crises through their local connections around the world. It is a year of tremendous needs – hurricanes, tornadoes, earthquakes, forest fires & flooding – have created destruction and pain in Puerto Rico, volcanic eruptions, California wildfires, Hurricane Florence in North & South Carolina, Typhoon Mangkhut in addition to continuing relief efforts in Texas, Florida, the Caribbean, Mexico, Nepal, India, Bangladesh, Peru and Columbia. We invite you to designate your support for MCC, MDS, MCC Meat Canning in Kidron or for the Community Assistance Fund of the Oak Grove Outreach Commission. All designations will be honored and any undesignated gifts will be given to the 2018 Oak Grove Spending Plan. Food pantry donations will be shared locally with People to People, Crown Hill Food Bank and the Salvation Army. This coming Sunday, September 23, is a “Peace” focus day at the request of the Mennonite World Conference. In light of this we are planning this Sunday's 10:30 am Worship as Internatonal Peace Sunday at Oak Grove. The message of the day is entitlted: "A Renewed Peace Church Welcomes the Stranger!" In solidarity with our sisters and brothers around the world we will recognize the day and celebrate communion together. As part of our sharing at the Table of our Lord, we will share an opportunity to give to our Compassion Fund. The Compassion Fund is a mutual aid fund which is available to the Spiritual Life Commission to assist with needs within our church family. Recent activity has depleted this fund. In the spirit of serving one another, as Jesus washed his disciples’ feet, there will be offering baskets available. We will receive your above spending plan giving as we partake of the communion emblems. Thank you for your prayerful preparation for participation in the bread, cup and service of our Lord Jesus Christ. We are very excited about the developments of Oak Grove's NEW ONLINE CHURCH DIRECTORY AND APP! Church members are invited to check out the new online church directory today. Available online through instantchurchdirectory.com or on your smart phones via the Instant Church Directory app found in your App Store. To view on the computer or on the app, you will be asked to create a login using your email address (as it is entered in the directory – please contact the office if you would like your email address added to the directory so that you can use this feature). After entering your email and creating a password, you will be sent an email with a confirmation link. You must open this email and follow the link before you can access the directory the first time. Printed copies of the directory will also be available this fall. Feel free to contact Kelsey Troyer or Mary Ramseyer with questions. We appreciate the hard work of the Fellowship & Service Commission and the delightful cooperation of all who had their pictures submitted for the new directory. Picture and contact information updates will now be quick and easy! This year 2018, the Oak Grove Mennonite Church near Smithville is celebrating its bicentennial. The congregation’s American story begins in 1818 when 11 Amish families of Swiss German origin had become landowners in Wayne County; they held worship services in their homes and barns. Their farms extended to the eastern border of what is now Wooster, and their first cemetery (Amish Plank Cemetery) can still be found just off Portage Road in the north end of Wooster. During this same decade from 1810 to 1820, the Baptists, Brethren, Methodists and Presbyterians also had established churches in our two-county region. When the French aristocrat Alexis de Tocqueville traveled through the Americas a decade later and wrote of his observations in “Democracy in America” (1835), he was especially fascinated by these free churches. Much has changed in 200 years, and in the past half-century these traditional denominations have been overshadowed in numbers and influence by younger evangelical and non-denominational churches. And all Christians and Jews need to share space with other religions and secularism. Still, in Wooster, Millersburg and the surrounding townships, however diminished, the legacy churches continue, and the effort here is to note their social contributions. These historic churches teach the Christian tradition beginning with the Hebrews, the Christian story and their denominational variety often beginning in the Protestant Reformation now commemorating its 500th anniversary. If you want to sing or have your children sing international hymns from the medieval period to today, visit a legacy church. If you want to join in an ancient prayer or confess the creeds (even your sins), your best chance is in a legacy church. Even the very architecture of the building (especially the windows) speak of the tradition, however much the remodeling with the possibility of a screen or a powerpoint in front. Second, the legacy churches have resources for charitable giving; they serve the community and the world. When the Oak Grove members thought of observing their anniversary, they thought of service and are making 200 comforters or blankets for local and international charities. The Wooster Trinity United Church of Christ serves daily breakfasts, with help from locals and College of Wooster students. Programs such as Habitat for Humanity or People to People are highly dependent on these churches whose members both volunteer and have access to funds, endowments and foundations. Third, the legacy churches have social capital which traditionally they have shared with the young. Several years ago, the Harvard social scientist Robert Putnam revisited his home community in Port Clinton to find out why many of his high school classmates succeeded. He discovered that classmates from poor families and minorities, had the church as a socialization resource. Youth mixed with the middle class and the well-connected, gaining access to schools, colleges, jobs and community. He wrote his findings in Our Kids (2015). Finally, the legacy churches provide a cultural and political refuge, a kind of mediating space from the culture wars waged in our nation. Legacy churches have some experience in this mediating project because many are associated with denominational offices which have tilted to the left. But at a parish level, hardline political and cultural views are mediated, softened and even ignored for the sake of civility and community. The legacy churches recognize that compassion, justice and love, are not the exclusive possession of one political party or cultural persuasion. In legacy churches, a deacon may believe poverty is best addressed by job creation -- sitting beside an elder who is optimistic about government programs. They worship and serve the same God, read the same Bible, sing the same hymns and join together for a coffee, a lunch or a fish fry. In our two-county area, the largest legacy church is the Amish who arrived in Holmes County in 1809, and generally make few social and political claims on the republic. And yet, few of us would deny that this humble church also makes a powerful social and political contribution to American cultural life. Our family lives near Green Field Farms, a horse-driving cooperative which this year has an exchange representative from the African country of Chad. Along with tribal languages, he speaks French and Arabic and now English and Pennsylvania Dutch; his name is Chindebeya Deuzoumbe Alexis. If the Frenchman Alexis de Tocqueville would revisit us 200 years later, I think he would be smiling. All are cordially invited to Oak Grove Mennonite Church’s Historical Reflections Weekend, the first of three events marking the congregation’s 200th anniversary. The event will begin at 7 p.m. on Saturday, April 14, at Oak Grove Mennonite Church, 7843 Smucker Road, Smithville, Ohio. A two-century timeline, to be installed in the sanctuary, will be unveiled. Sketches of God's Faithfulness, a historical booklet by Levi Miller, will be released. In addition, Jason Kauffman, archivist of Mennonite Church USA, will speak on the importance of story. 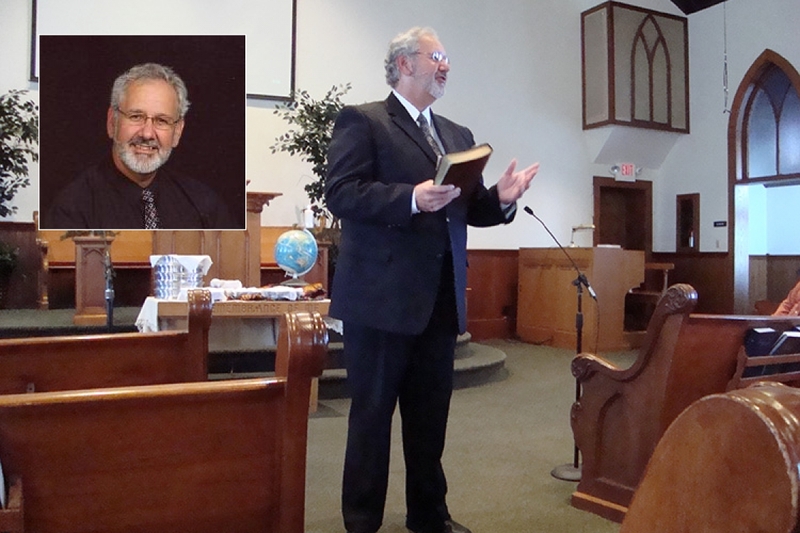 A native of Dalton, Ohio, Jason Kauffman attended Orrville Mennonite Church during his youth, and graduated from Central Christian School and Goshen College. he earned a doctorate at the University of North Carolina, and now serves as Director of Archives and Record Management for Mennonite Church USA. He lives in Elkhart, Indiana, with his wife, Lisa Graber, and their three children. Harvest Home Festival, Oct.13-14 --> Sunday school reunions, choral music program with Byron Kauffman, and worship with Mark Schloneger, guest minister. To know and to be known is community. What a blessing to live in a community of faith that is connected in so many ways to the Smithville community in which we live, work, study and play. We are blessed to be neighbors of the people and tied to the land of this community. Oak Grove Mennonite has been rooted here for two hundred years. Established in 1818, the church is celebrating its Bicentennial this year. It has been significant to us and important for us to participate in school, social and religious life. As teachers, staff, coaches, volunteers, business people, farmers, doctors, dentists, lawyers, store owners, and much more we have had opportunity to engage neighbors, family and friends. Community is important to us. to Saturday March 17 at 3:00 p.m.
Bring seeds to trade or share with others - no money exchanged. Bulbs, house plants, gardening books and magazines, vases, as well as local gardening wisdom and lore are welcome. Exchange will happen in our Fellowship Center. at 7843 Smucker Road just east of Smithville. Neighbors near and far are welcome! Discovery: A Comic Lament, is coming to Oak Grove Mennonite Church, 7843 Smucker Rd, Smithville, OH on Sunday, March 4, 2018 at 4:00 pm. Admission is free and is open to the public! The play, starring Ted Swartz and Michelle Milne, and produced by Ted & Co TheaterWorks, is about the Doctrine of Discovery, the legal framework that justifies theft of land and oppression of Indigenous Peoples. It finds unexpected humor at the crossroads of justice and land use, offering both comic and challenging glimpses into the absurdity of white settler oppression of Indigenous Peoples and the land we live on. A show about love, and loss, of land, Discovery nudges us to question our stories with honesty and integrity. Produced by Ted & Co, written by Alison Brookins, and directed by Phil Weaver-Stoesz. Created in partnership with the Dismantling the Doctrine of Discovery Coalition. Fiscal support through Mennonite Mission Network. There is nothing quite like experiencing it for yourself. Despite starting the day with a delay on my flight out of Fort Wayne, and missing my connection in Chicago for Washington, D.C. I made my connection in Zurich. The boarding lounge was nearly vacant and the plane bound for Nairobi was seemingly empty, confirming my worst fears. The security situation in Kenya was considered uncertain and people were taking the travel warnings seriously. But I had felt God clearly challenge me to confirm my travel plans and keep my commitment to participate in the April sessions of the Christian Bible Institute(CBI). “I have commanded you to be strong and brave. Don’t ever be afraid or discouraged! I am the Lord your God, and I will be there to help you wherever you go” (v.9). The uncertainties around the post-election violence at the beginning of 2008 which had challenged my original decision to postpone my teaching mission with the CBI of the Christian Church International, were subsiding. I was traveling with the confidence of my family and a supportive church community. I would keep their prayers close to my heart. More detailed information about the events of each weekend can be found under the Bicentennial tab on our home page. We will kick off our bicentennial celebration with an introduction this Sunday, January 14 at 10:30 a.m. with the theme - "From Generation to Generation." Then between the April Historical Reflections weekend and the October Homecoming weekend we will focus on "The Values that Characterize Oak Grove!" Psalm 145:4 One generation shall praise Your works to another. Psalm 79:13 “from generation to generation we will recount your praise. Relentless . . . On and on . . . Time marches on. Sometimes soft as gently falling snow, sometimes overwhelming like a snow “bomb cyclone” bearing down on us. Life begins as a babe; life ends at old age – we think.The Psalmist gives us some perspective in Psalm 145:4 “One generation shall praise Your works to another” and in Psalm 79:13 “from generation to generation we will recount your praise.” We are part of God’s activity in the world. No one who came before us was indispensable. His or her time to be born, to live, to love, to teach made an impact, but it has come and gone! Their contribution has made a connection. Today, my time has come. Today, your time counts. It is our time to live and serve. Today is our opportunity to declare the great faithfulness of God as we have received it from a passing generation and share it with a coming generation. We will do our part. We will share our dreams, aspirations, goals and gifts to keep the praise of God’s works moving from this generation to the next. We are all too aware of how much our world needs shalom. Last Sunday we considered how Mary proclaimed a radical realignment of the social order where all can experience shalom. While we often get caught up in our comparisons with those that have more than we have, most of us are among those who have more than many in our world. So after some reflection on Mary's vision of realignment, how have you responded to the call for a more socially just society? To bring shalom? This week's readings remind us that God is working his purpose out, using the likely and unlikely—kings, but also the humble, seemingly insignificant, the lowly—to fulfill God’s mission. As Christians, we are part of God’s mission of reconciliation. We want to look around and see where God is at work, and then take the opportunity to entering in. It may call us to let go of our insecurities and insufficiencies and allow God to use us as channels of the good news? We may be tempted to hold fast to the comfortable - the way it has been for us. We hold on to the familar since we somehow have to pay the bills. But God keeps calling, and perhaps surprisingly to many of us, that call is often answered by the least among us . . . a barren Hannah, a young David or an innocent Mary! Humble and ordinary folks who hear and believe, and further God's reign on earth. Down through the ages many have joined in with Mary, "Here I am, the servant of the Lord, Let it be with me according to your word!" Yes! Let it be NOW! On this past Sunday we acknowledged that all of us experience the need for comfort, whether our difficulties are of our own making or are circumstances which are thrust upon us. The messianic hope in the writings of Isaiah found its fulfillment in Jesus of Nazareth. The New Testament writers understood this clearly, as have artists throughout the history of the church. This coming Sunday, December 17, here at Oak Grove at 2:30 p.m., the rafters will echo with the music of the Messiah - as a nearly one hundred voice choir will present Handel's artistic interpretation of this great messianic hope. How have you experienced God’s comfort in the midst of hardship? How are you drawing on God’s comfort now? Our 10:30 a.m. worship service, "LET IT BE WHOLE," will focus on the vision Mary paints in the Magnificat, as found in the Gospel of Luke 1:46-55, a vision of shalom—peace, wholeness or well-being— for everyone. How are you a channel of God’s love, joy and peace this Advent? Exhausted . . . but happy! Extremely Happy. Sunday evening was the 29th annual presentation of the Search for the Christ Child at Oak Grove. With a very pleasant super moon lit night we hosted more than 500 visitors. With a hundred people involved in the set up and presenting of the old, old story, it is a remarkable community building event. But probably what is most remarkable is that most of the participating presenters stick around to clean up and store all the props and costumes. It truly proves the point that many hands make light work. So it is a big day at the Grove. I was exhausted. My day started early with two presentations in worship services to mark the being of the Advent season. In Advent 1 we acknowledged the darkness in our world. What areas of darkness are you facing? Where might you find hope in the darkness? “God will do it again” (Mark13:24-37). “Indeed, God has already begun the process” (1 Corinthians 1:3-9)! As the Advent season continues, may you be encouraged, like Mary, to take the leap of faith and answer with her, “Let it be!” God has your back. God is present, even in the darkness. It is an old, old story of Good News! On a side note, I was recently reminded that if at the beginning of December, you're remembering about your 2017 New Year’s resolution to read the Bible this year, just over 38 chapters a day would still bring you over the finish line. However, since it only takes 72 hours to read through the Bible out loud, you could wait to start on the 29th and finish by the close of the year. We pray, "Lord, have mercy on all those affected by Harvey - whether that is Hurricane Harvey, Tropical Storm Harvey, Tornado Harvey, Lightening Harvey, Flood Harvey, Straight Winds Harvey, Rain Harvey, or Lights Out Harvey! Lord, may your people rise up even faster than the flood waters. Lord have mercy!" Amen. We thank God for all the First Responders, Volunteers and the many organizations providing immediate relief. May God keep them all safe. Oak Grove Mennonite Church will support those efforts. We expect that we will have indvidutals and team(s) that will join the efforts to RESPOND! REBUILD! RESOTE! Any donations marked for HARVEY RELIEF will be honored through MDS. Worship participants can contibute to the offering. Anywone can send your check to the Oak Grove Church office at 8743 Smucker Rd., Smithville OH 44677. The past week started with tweets that taunted dangerous players on the world stage, the president continuing to play with fire. The week ended with racist taunting on the streets of America. I believe that there is a connection. And it continues to flow on. Hundreds of white men bearing torches and chanting and shouting slurs is racism clear and simple . . . It is religious extremism . . . and it is bigotry. It is a provocative effort on the part of very privileged folks to foment racism and hatred, and create violence. It does not represent the America I know. It is a cancerous growth which represents the absolute worst of who we are. It certainly does not represent Jesus. May God have mercy. May God have mercy. Racism and terrorism will not win the day. With the writer of Psalm 40, our community was experiencing the missional work of life experience with intentionality. When the LORD does a work in one’s life, there is a “new song in my mouth” and “Many will see and fear, and put their trust in the Lord.” That work and its evidence with a “new song” have a missional purpose – establishing God’s community – a family of God in a biblical tradition. God is calling all people into community. Response: The work is Thine, O Christ our Lord, the cause for which we stand; And being Thine, 'twill overcome its foes on every hand. John’s glimpse into heaven revealed “Then I looked, and heard the voices of many angels . . . myriads of myriads and thousands of thousands, singing with full voice,” (v.11-12). The scene continues, “Then I heard every creature in heaven and on earth and under the earth and in the sea, and all that is in them, singing, (v.13). John had already shared his first glimpse of heaven’s activity around the throne: “Day and night without ceasing they sing” (4:8) and “They sing a new song” (5:9). We believed and agreed together that our departed loved one would be joining the heavenly crowd gathered around the throne. We just had to sing. Thanks be to God! Respond: To the one who sits on the throne and to the Lamb be praise and honor and glory and power, forever and ever!